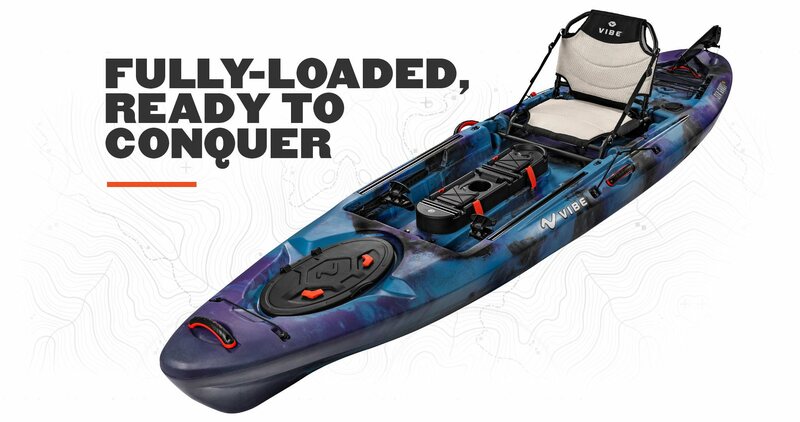 Adventure awaits with the Vibe Sea Ghost 110 angler kayak. This kayak provides the best of speed and stability so you can maneuver flat water, rivers and tight quarters with ease. FREE Local Delivery to certain areas of South Florida, contact us for details! 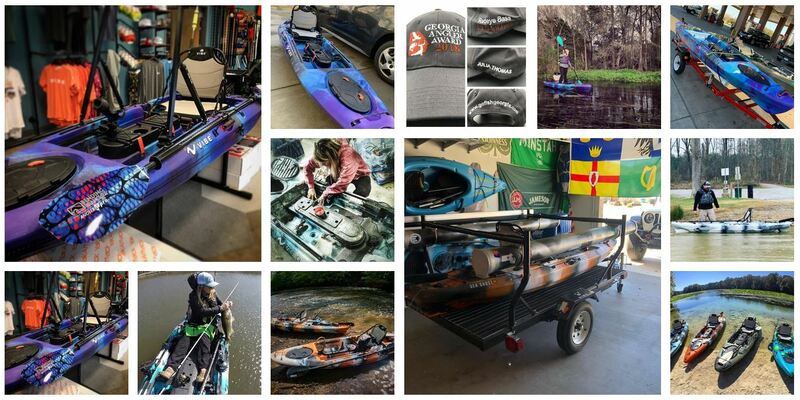 Out of FL state orders, please contact us first, additional savings on shipping available for one or more kayaks. First 5 Sea Ghost 110 orders will receive a complimentary Journey Paddle! Know someone who would like this? Spread the word! Adventure awaits with the Vibe Sea Ghost 110 angler kayak. 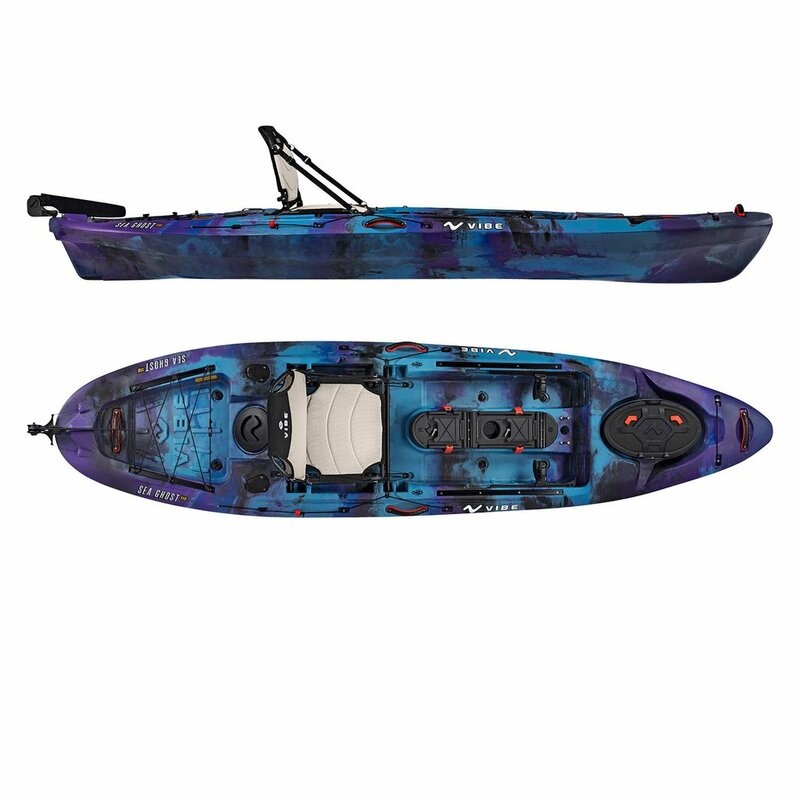 This kayak provides the best of speed and stability so you can maneuver flat water, rivers and tight quarters with ease. The well-balanced hull provides unparalleled performance while the included rudder system saves your energy during long paddles, windy days, and strong currents. The dual position Vibe Hero seat provides comfort and support for long days on the water. 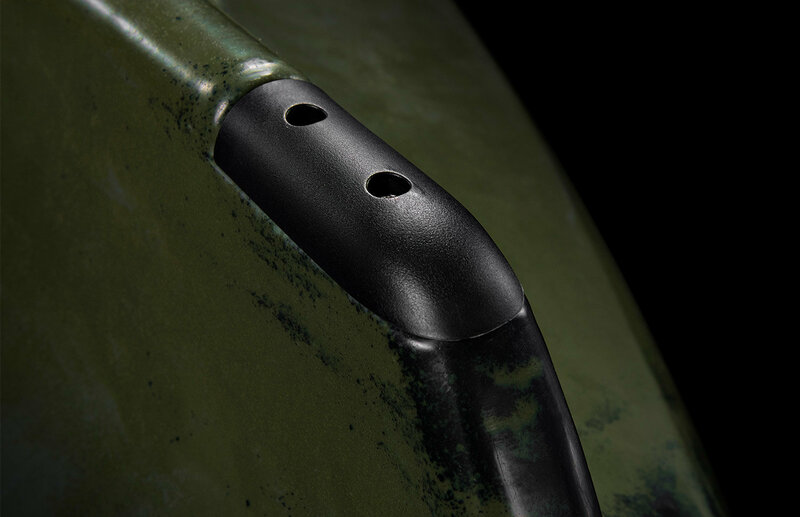 Fishfinder transducer port with mounting points and protective lid leaves the transducer free of obstruction, allowing the side imaging technology to function with optimal performance while still providing protection against head-on collision damage. 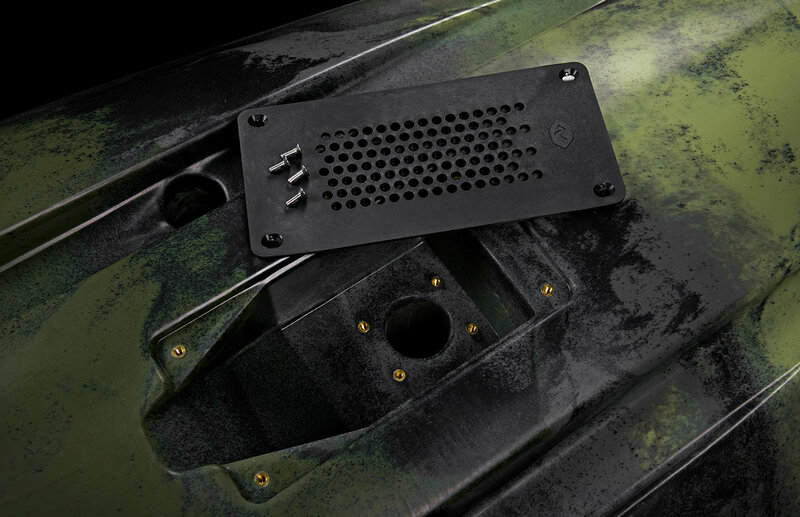 The replaceable skid plate on the Sea Ghost 110 keeps the keel of the kayak protected from damage due to dragging over rough surfaces. 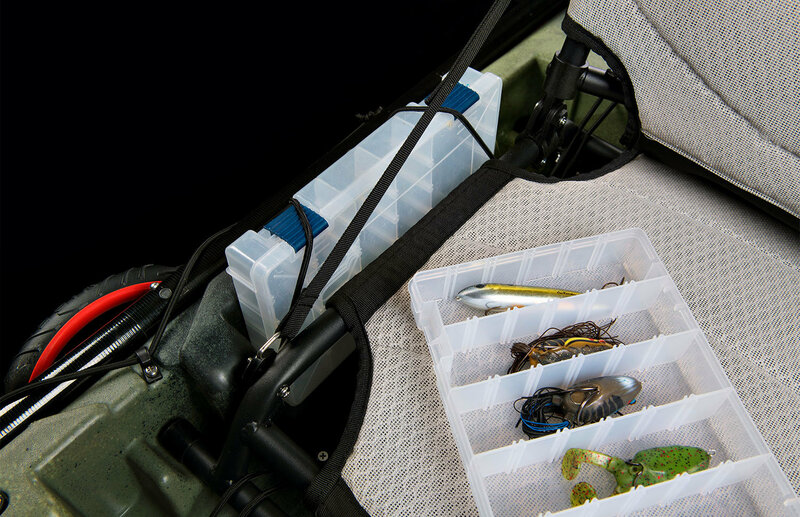 Keep your tackle handy with 2 tackle tray holders that fit PLANO™ 3600 tackle trays. When you’re not using your tackle (which is rare), bungee parks keep the trays secure. 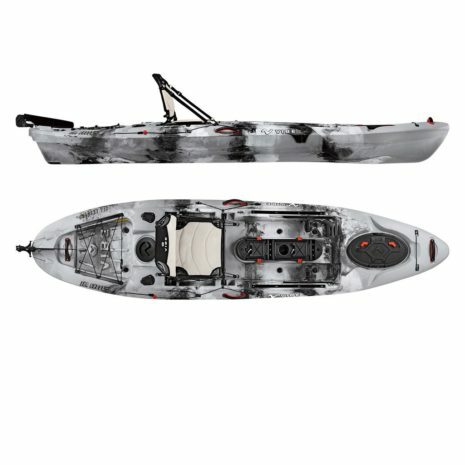 The Sea Ghost 110 sit on top angler kayak includes a pre-installed rudder system saves your energy during long paddles, windy days, and strong currents. The Vibe Versa Console provides plenty of storage and accessory mounting points for customizing your rig. The Sea Ghost 130 Kayak package includes the dual position Vibe hero seat provides a plush, padded ride. The breathable mesh fabric dries quickly, keeping you and your seat dry! Adjustable straps let you create your most comfortable back support position to keep you fishing all day! The Sea Ghost 130 sit on top angler kayak provides multiple storage options, including a sealed hatch with storage bag. 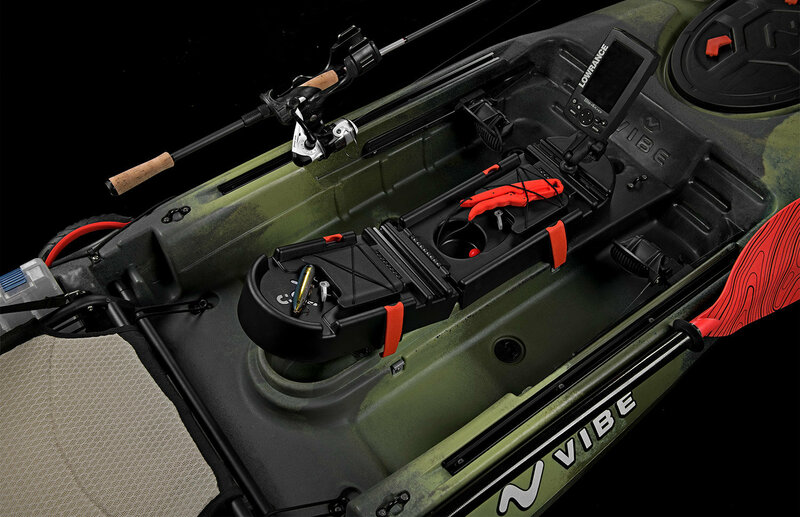 Two capped flush mount rod holders are conveniently located behind the Hero seat, so you can wet your line while you paddle to your favorite fishing hole. Got a bend in the pole? The fast access bow paddle park lets you quickly and safely secure your paddle so you can reel in your catch! 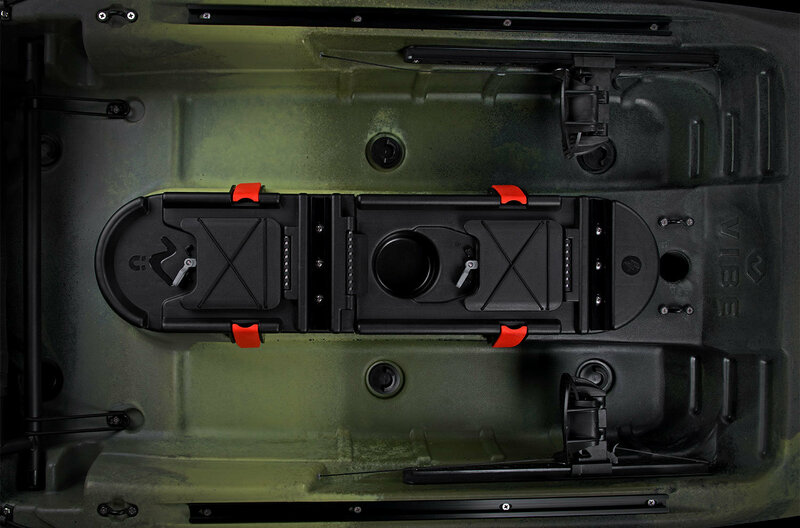 Stow cargo, crate or cooler in the large rear takwell with bungee tie down. 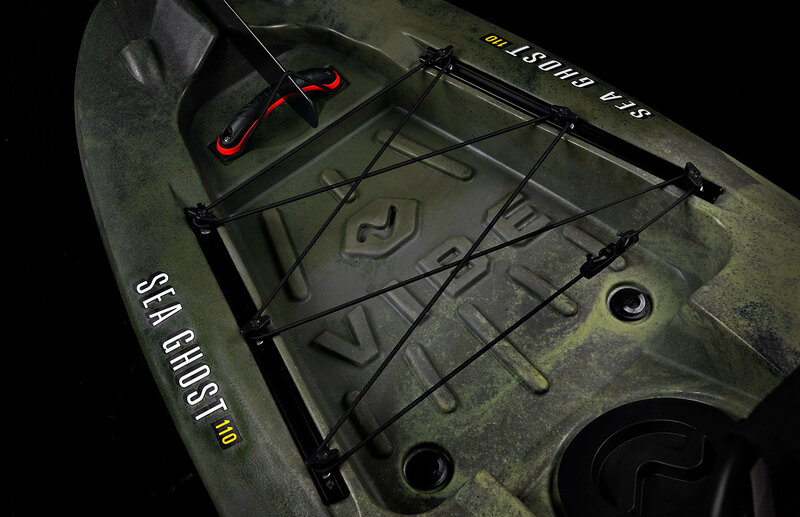 The Sea Ghost 110 sit on top angler kayak provides multiple storage options, including a 6″ sealed V-Wave deck plate with waterproof cargo bag. 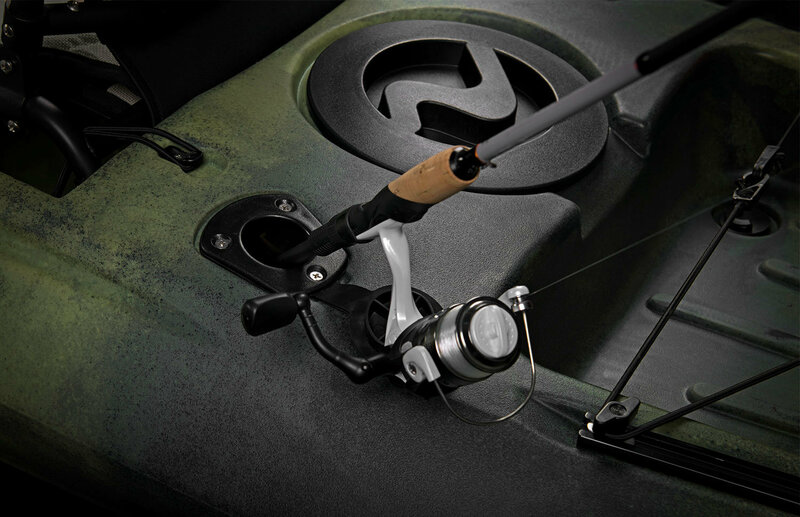 Two capped flush mount rod holders are conveniently located behind the Hero seat, so you can wet your line while you paddle to your favorite fishing hole. 4 Vibe Phantom Grip carrying handles create a comfort-grip and eliminate pinch points. And because no one wants to be up the creek without a paddle,two side mounted paddle parks keep your paddle secure when your hands are full! Adventure more with the new 2019 Vibe Sea Ghost 130 kayak. The extra wide hull offers unmatched stability and handles everything from rivers to surf. A great stable kayak for fishing or recreational use. FREE Local Delivery for South Florida, contact us for details. Out of FL state orders, please contact us first, additional savings on shipping available for one or more kayaks and for business addresses. 2019’s have landed! Limited Galaxy in Stock! 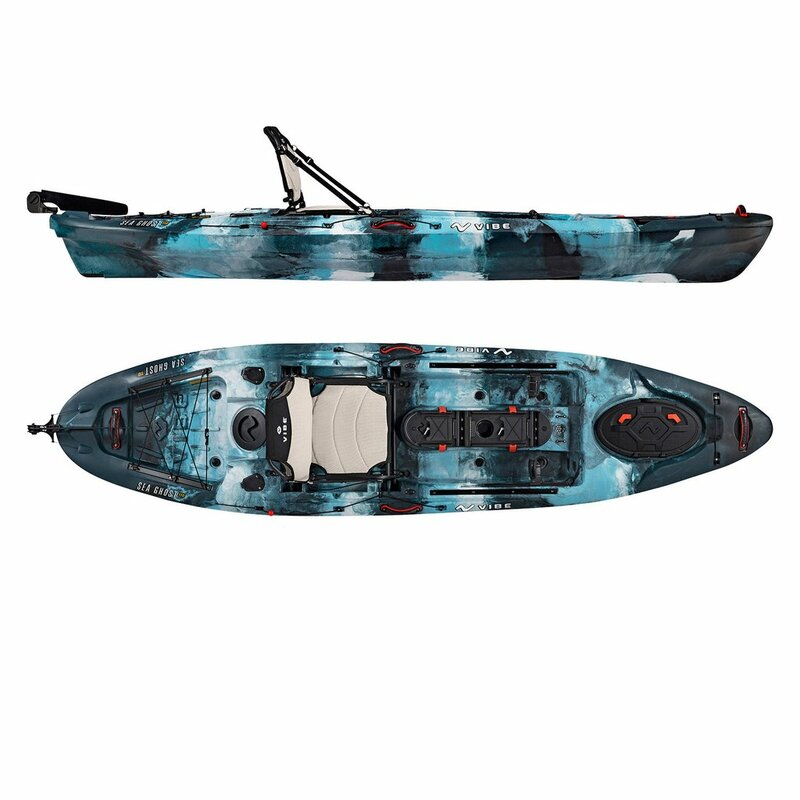 First 5 2019 Sea Ghost purchases will receive a complimentary Journey paddle with purchase(4 Left). Conquer more water with the new Vibe Maverick 120 SUP. The stable, no-flex deck provides superior stability, comfort and maneuverability. Take it a step further and easily motorize your Vibe Maverick 120 SUP with the Bixpy Universal Kayak \ Canoe Kit. Out of FL state orders, please contact us first! 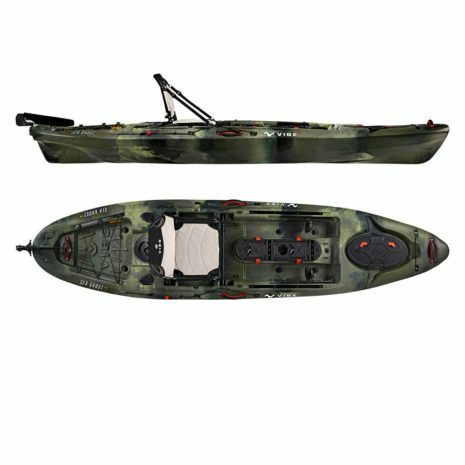 The Yellowfin 130T tandem kayak with framed hero seats and foot braces means all day comfort, with plenty of room for storage, gear and passengers. Take it a step further and easily motorize your Vibe Yellowfin with the Bixpy Universal Rudder Kit! FREE local delivery to most of South Florida, contact us for details! For out of FL state orders, please contact us first. Spring Cleaning Sale! $100.00 off all Yellowfin 130T’s. Limited Quantities Remaining!! The Vibe Element 20 is the perfect personal cooler. 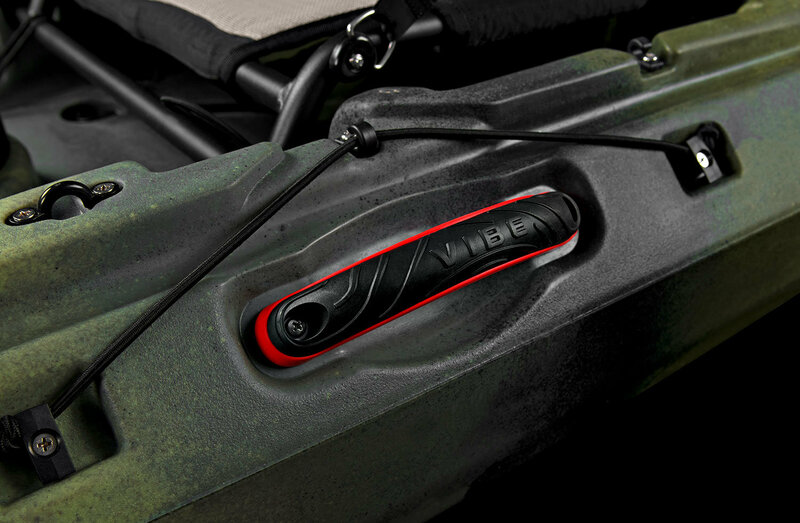 Equipped with a heavy duty handle, built-in bottle opener and pressure release button, the Vibe Element 20 is perfect for camping, fishing, hunting and taking to work. 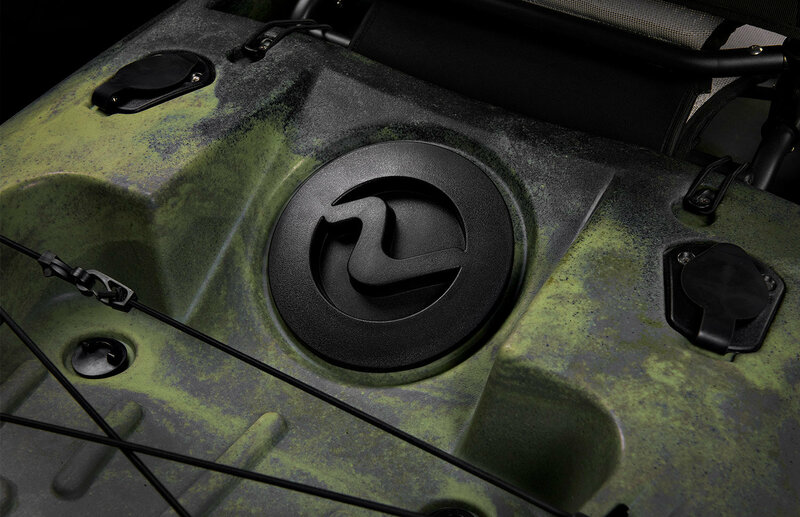 The Element 20 is truly built for rugged outdoor adventures. The Vibe Element 75 is the perfect personal cooler. 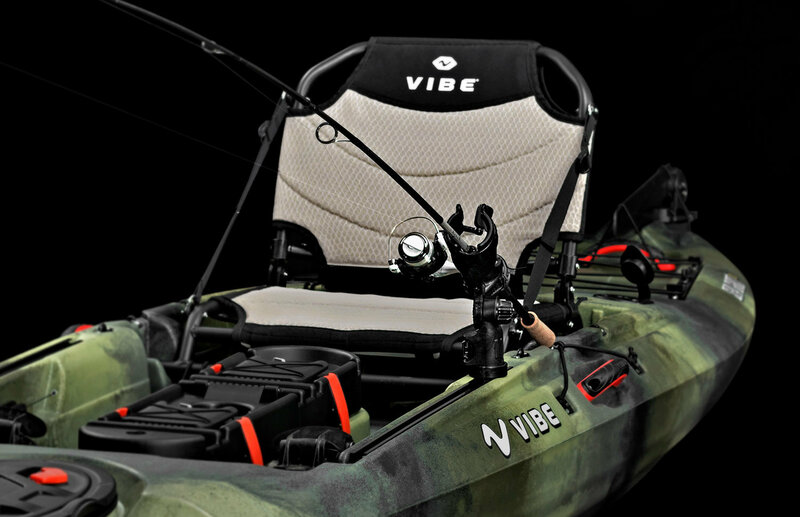 Equipped with a heavy duty handle, built-in bottle openers and pressure release button, the Vibe Element 75 is perfect for camping, fishing, hunting and adventuring. The Element 75 is truly built for rugged outdoor adventures. The Vibe Element 45 is the perfect personal cooler. Equipped with a heavy duty handle, built-in bottle opener and pressure release button, the Vibe Element 45 is perfect for camping, fishing, hunting and adventuring. The Element 45 is truly built for rugged outdoor adventures. No need to worry about currents or winds with the Vibe Anchor Trolley and 3lb Grapnel Anchor Bundle. This bundle keeps you where you want to be while fishing in the anchored position. Using a nylon pulley system, the anchor trolley allows you to adjust the position based on winds and water currents. Once you find your sweet spot, the mini zig zag cleat locks the rope in place. 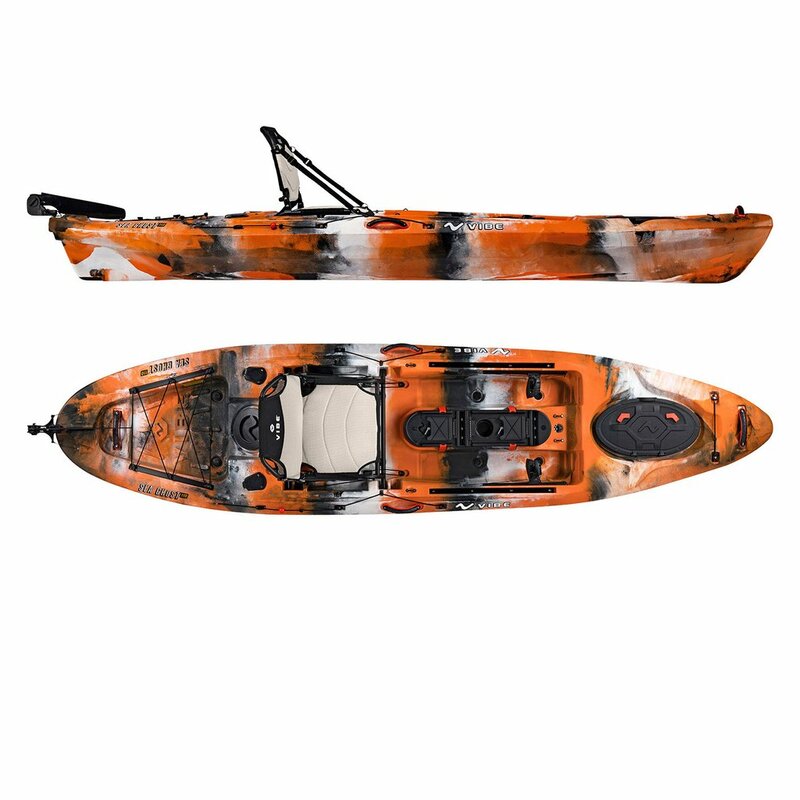 With the Vibe Sea Ghost Deck Pad Kit, your kayak will look slick, without the slip. 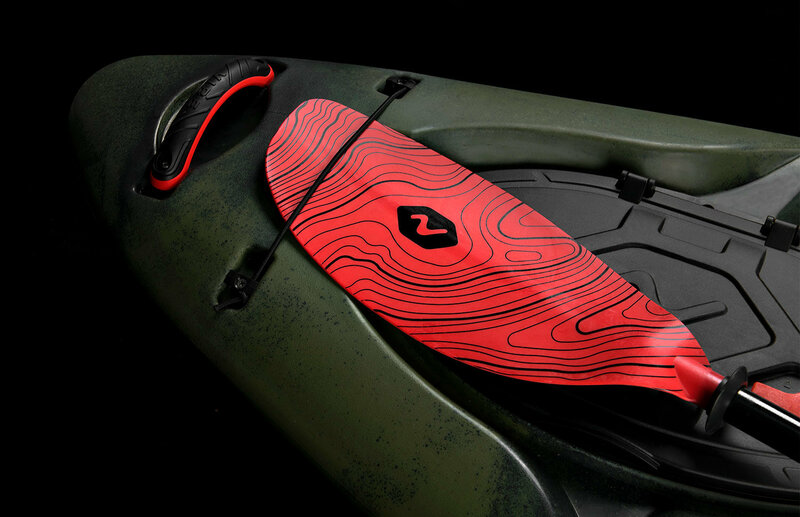 The 5mm EVA material provides exceptional traction either wet or dry, and the sweet design adds flair to your already awesome kayak. The marine grade peel and stick adhesive makes for a quick and easy installation. This kit was designed to fit both the Sea Ghost 110 and Sea Ghost 130. Catch the big fish while anchored with the our Complete 3lb Grapnel Anchor Kit. The 3.3 lb (1.5 kg) galvanized steel anchor features four 6-inch tines that fold out of the way while stored for space maximization and easily release when ready for use. The heavy head design of the anchor creates less wait time until the anchor is fully submerged into the anchoring surface on deeper and faster moving water. The boat anchor system is galvanized to protect and prevent against rust and corrosion. The durable nylon storage case is padded for additional protection and also dampens noise while the anchor is stowed. The C-Tug SandTrakz Kayak Cart is setting new standards with its sophisticated style and precision design. C-Tug SandTrakz is the most versatile and durable kayak cart on the market. It carries up to 80kg (170lbs), won’t rust, and dismantles for easy stowing. One of the simplest, fastest and most efficient ways to use the Bixpy on a kayak is on the rudder of the kayak. However, not all kayaks have rudders and the ones that do, don’t always offer a robust enough rudder mount to run the motor well and without damaging the kayak. 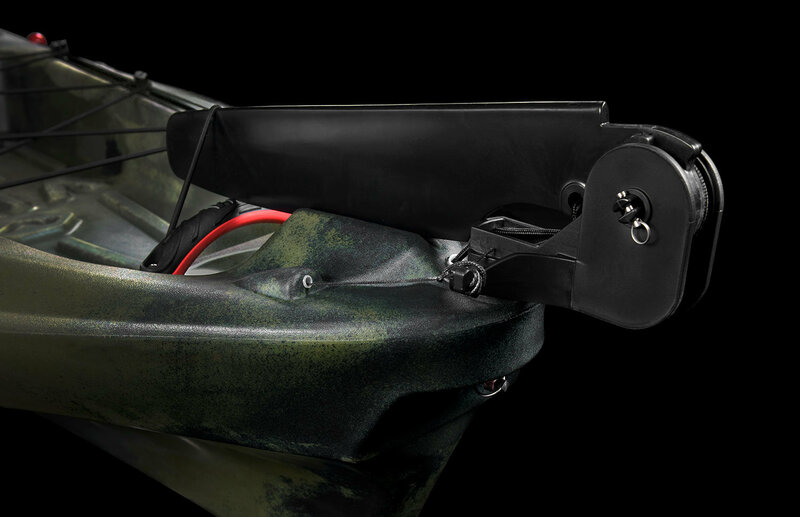 The Bixpy Universal Rudder Adapter is designed to give you the option to mount a rudder on virtually any kayak. If your kayak already has a robust 10mm pin hole for a rudder, all you need is the Bixpy Universal Rudder Adapter. If your kayak doesn’t already have a 10mm pin holder for a rudder, you can purchase the Bixpy Gudgeon, which provides a super robust and adaptable 10mm rudder pin holder for your Bixpy Universal Rudder Adapter. The Bixpy Universal Rudder Adapter features a pull cord, a kick up feature and “lock-down” for reverse speeds. We also offer two options for steering your rudder, a hand steering option and a foot pedal option, each sold separately.